Eating fish increases the heart-healthy omega-3 fatty acids in your diet, but frying the fish diminishes the health benefits. 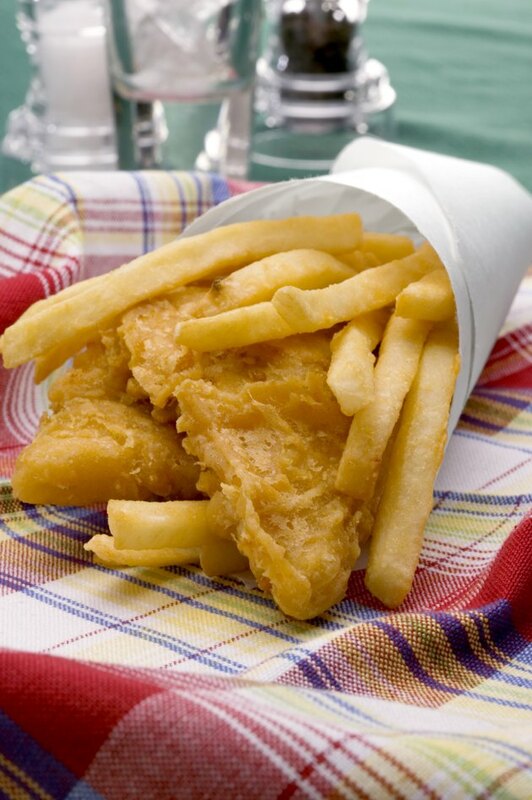 When you fry fish, it may taste delicious, but the frying process adds a significant amount of fat. The oil is absorbed into the batter, making it crispy, but bad for your health. Baking fish is a lower-fat alternative. Use your oven to create a fish that's tasty as well as good for your health. Select a fish that isn't too meaty. Thinner fish, such as tilapia, sole or orange roughy, cooks more rapidly and gives a crunchier finish. Prepare the baking sheet for cooking by either coating it with nonstick cooking spray or covering it with a piece of parchment paper. Bread or batter the fish using your normal process. Typically, you dip the fish fillet in a beaten egg, then dredge it to coat it in seasoned breadcrumbs, breadcrumbs and Parmesan cheese or crushed cornflakes, depending on your recipe. Place the individual battered pieces on the prepared baking sheet. Bake for 10 to 12 minutes, turning the fish once during the cooking process. The fish is ready when it flakes easily when tested with a fork that pierces the batter.